Asana is a great app to improve team collaborations and help teams track their work. How to enable Asana integration ? 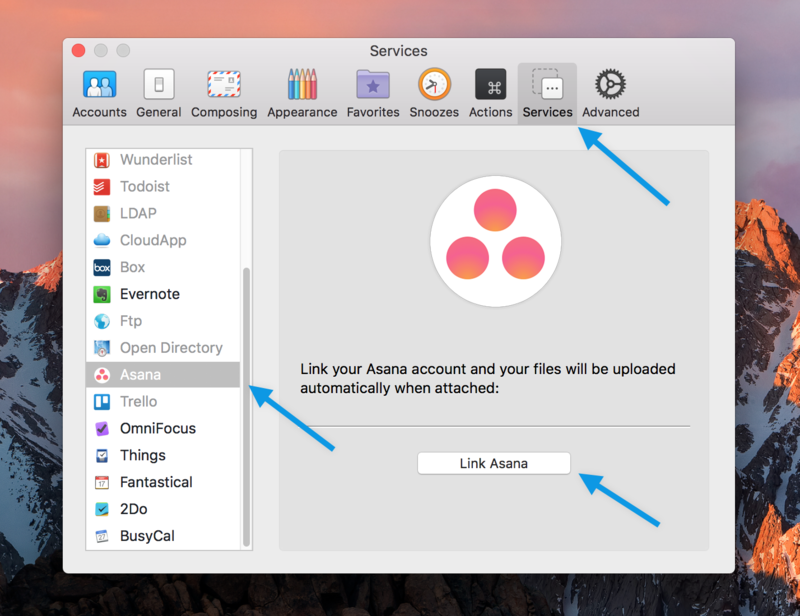 In Airmail, please go to Preferences >> Services >> Asana >> Link. 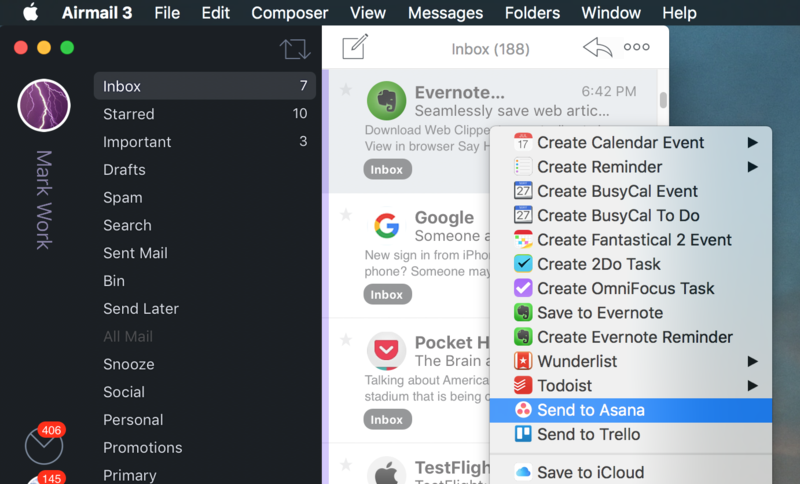 How to send a message to Asana? Select a message > Right Click > Send to > Asana.